US player Tekni-Plex recently acquired Beyers Plastics, a cleanroom Class 7 extruder and converter of polyethylene (PE) film, from Belgium. Dave Gray caught up with Michiel van den Berg, director, global pharmaceutical development for Tekni-Plex’s Tekni-Films business unit, to find out what this means for both firms. Beyers will now become part of Tekni-Plex’s Tekni-Films business unit. It specialises in producing PE packaging for pharmaceutical, medical and other industries such as food, aerospace, solar energy, semi-conductor and chemicals. The Beyers Plastics purchase is the tenth acquisition Tekni-Plex has made in the past four years, supporting its strategy to grow its business though transformative acquisitions and strategic add-ons. What new technical capabilities does the Beyers Plastics acquisition bring? With the acquisition of Beyers Plastics, Tekni-Plex is adding cleanroom blown film extrusion to its film manufacturing portfolio for pharmaceutical and medical applications. Blown film extrusion is the preferred polyolefin film production technique to achieve thicknesses required for bags and drum liners. These are used to package pharmaceutical bulk products or moulded components used in pharmaceutical delivery or medical devices. Beyers Plastics is also converting blown films into bags by sealing to customer-specified dimensions. These bags are considered primary packaging components for pharmaceutical and medical applications and are regulated as such. These capabilities are new to Tekni-Plex, making Beyers Plastics our global centre for blown film and bag sealing. What are Beyers' core strengths in medical extrusion? Pharmaceutical and medical bags and films have similar strict regulatory requirements. With film extrusion and bag sealing under one operation, Beyers Plastics controls the entire process from film composition, cleanroom standards, weld seal performance and dimensions. Additionally, the finished goods can be sterilised upon request of the customer. How common is it to find a class 7 PE film extruder on the market? Cleanroom made PE film is quite common in the healthcare industry. The requirements of the pharmaceutical and medical manufacturers for cleanroom films are currently serviced by many converting companies, just like Beyers Plastics, who specialise in producing these materials. 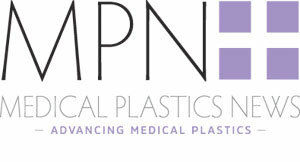 You also have expertise in tubing extrusion for medical applications - can you elaborate on that side of the business? Tekni-Plex has two business units that manufacture tubing for medical applications—Natvar and Dunn Industries. Collectively, these businesses extrude a variety of tubing sizes and configurations from a wide range of materials, including polyvinyl chloride (PVC), thermoplastic elastomers (TPE), thermoplastic polyurethane (TPU), polyamides, polyolefin, and much more. Natvar is an innovative global supplier of medical tubing solutions for a broad spectrum of medical device products that target hospital, physician, dental healthcare and in-home use. Its global footprint is supported by five manufacturing facilities located in the United States, Costa Rica, China and Belgium. Natvar’s precision-crafted tubing solutions are used by leading medical device companies around the world for applications such as intravenous therapy, dialysis, cardiac surgery and many others. Acquired earlier this year, Dunn is a leading global supplier of extruded tubing used in medical device applications. Custom tubes are available for prototype development and full-scale manufacturing of advanced catheter shaft assemblies and minimally invasive device components. Dunn also manufactures solid polymer cores used to retain inner lumen dimensions during the manufacture of advanced catheter shafts. What are the trends you're seeing in film and tubing extrusion? Globalisation of medical device design, development and manufacturing is requiring film and tubing companies to expand services in new geographies. For example, device companies in China and Brazil are increasingly designing and developing products for their local market. Meanwhile, device manufacturing continues to migrate to more economical regions in Southeast Asia and Central America. Suppliers must be able to provide technical support and prototypes quickly during early stage development at new design locations, while offering timely delivery of quality products at new production locations. Additionally, medical device regulations continue to develop and change in emerging regions, such as China and India. Medical film and tubing suppliers must be able to comply with a broader range of global regulatory requirements, such as contamination controls and validations. What are common challenges in medical device packaging, and how can Tekni-Plex's business support this? Similarly to pharmaceutical companies, medical device companies are continuously being challenging to meet both performance and cost objectives. For example, Tekni-Plex’s Tekni-Films business unit has developed its TekniMD PX film series as a drop-in, cost-effective replacement to PETG for thermoformed medical tray packaging. We have seen the development pipeline increase two-fold over a year ago, with activity both in the United States and Europe. The material is gaining traction globally in a number of sterile barrier tray applications whose companies want a cost-effective alternative to PETG for products such as orthopedic devices, pre-filled syringes and infusion assemblies and tubing. TekniMD PX films also are being specified for non-sterile totes and retainers that are used for work-in-progress transfers between different company facilities. Additionally, the PX film line offers a wider processing window than PETG and bears recycling code #1. What are common challenges in medical tubing, and how can Tekni-Plex's extrusion expertise support this? Medical tubing challenges often differ by device type. For example, tubing used for medical pumps, blood management and respiratory devices, is often supplied in large quantities to exacting, repeatable standards. Device companies often prefer suppliers with a global manufacturing footprint that offers validated tube extrusion in locations proximal to their manufacturing. Natvar manufactures tubing in five locations around the world, including North America, Central America, Europe and Asia. Each location is equipped with extensive quality management and validation resources for production. Challenges in endovascular tubing can often be associated with new designs to reach distal regions within the body and/or provide novel interventions. In many cases, this requires catheter tubes with smaller diameters, wall thicknesses and tolerances. Designers of these devices require companies that can provide tubes quickly for evaluation of early stage prototypes. Dunn has an extensive library of extrusion tooling and materials that facilitate rapid development of small single-lumen and multi-lumen tubes with tight tolerances, such as those used in neurovascular micro-catheters. Is widening your footprint in Europe a key part of your strategy going forward? The Beyers Plastics purchase is the tenth acquisition Tekni-Plex has made in the past four years, supporting its strategy to grow its global business though transformative acquisitions and strategic add ons. Tekni-Plex has a solid track record of successful business integrations, having acquired companies with innovative plastic and rubber products to further drive growth.